You may remember from last week’s newsletter that I mentioned that September has been National Honey Month. In honor of this well-deserved designation, let’s talk about honey, because there’s some funky stuff going on in this industry. The fact is, most store honey isn’t true honey. Over three-fourths of honey sold in U.S. grocery stores isn’t exactly what bees produce, according to testing done exclusively for the non-profit food-supply watchdog, Food Safety News. The FDA, the food safety divisions of the World Health Organization, the European Commission and dozens of others have tested today’s honey as well. They’ve all have found the absence of pollen and have ruled that without pollen there is no way to determine whether the honey came from legitimate and safe sources. Pollen presence is the only foolproof sign identifying the source of the honey. Commercial honey is ultra filtered, heated, watered down, and then forced at high pressure through extremely small filters to remove pollen. It’s a technique refined by the Chinese, who have illegally dumped tons of their honey (usually containing illegal antibiotics) on the U.S. market for years. After this first investigation, Food Safety News decided to test honey sold in various outlets around the country. 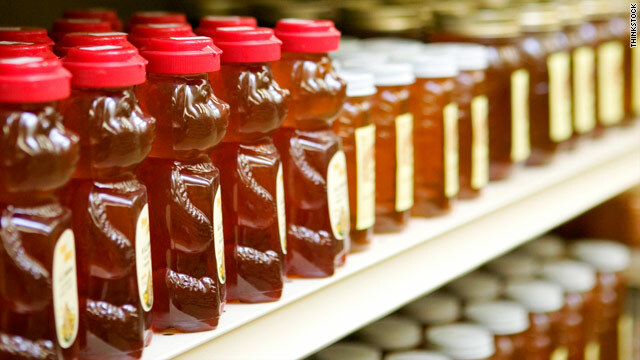 They purchased 60+ jars, jugs, and plastic bears of honey in 10 states and the District of Columbia, and found that U.S. groceries are flooded with honey banned in Europe as unsafe because of contamination with antibiotics, heavy metal, and a total lack of pollen. •76% of samples bought at groceries had all the pollen removed, These were stores like TOP Food, Safeway, Giant Eagle, QFC, Kroger, Metro Market, Harris Teeter, A&P, Stop & Shop, and King Soopers. •100% of honey sampled from Walgreens, Rite-Aid, and CVS Pharmacy had no pollen. •77% of honey sampled from big box stores (Costco, Sam’s Club, Walmart, Target, and H-E-B) had the pollen filtered out. 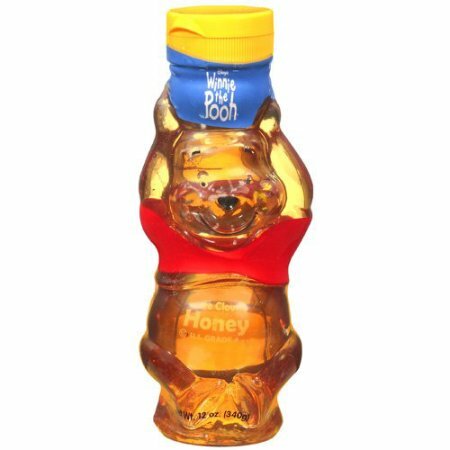 •100% of honey packaged in small individual service portions from Smuckers, McDonald’s, and KFC had the pollen removed. • GOOD NEWS: 100% of samples bought at farmers markets, co-ops, and “natural” stores like PCC and Trader Joe’s had the full, anticipated, amount of pollen. 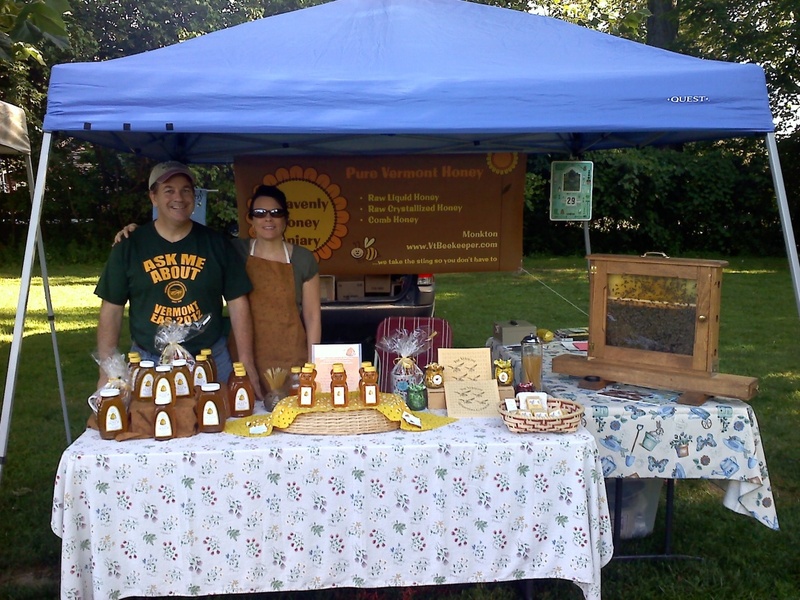 While most U.S. honey packers didn’t want to talk about their honey processing, one who did was Bob Olney, of Honey Tree Inc., in Michigan. He markets Winnie the Pooh honey to Walmart stores. Analysis showed this brand has all pollen removed. But filtering out the bee pollen isn’t the only travesty going on in the honey industry. 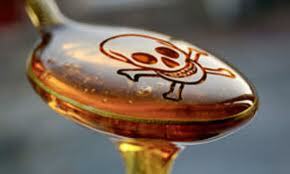 I’ve talked about this before: High fructose corn syrup has been linked in two miserable ways to bees and honey. The first discovery was made in 2011, and the second in 2013. First, most of the “honey” available for purchase in supermarkets is not really honey, but instead an ultra-filtered impostor often produced in China, that is cut with high fructose corn syrup. Secondly, honey-producing bees in their hives are being fed high fructose corn syrup instead of their own honey, and new research has linked this practice to colony collapse disorder. You know where I’m going with this, right? We’ve got to take a stand and support our local bee keepers, vendors at farmers markets, PCC, and Trader Joe’s. And we’ve got to make sure the buyers at natural food stores (PCC, Trader Joe’s, Whole Foods, etc.) 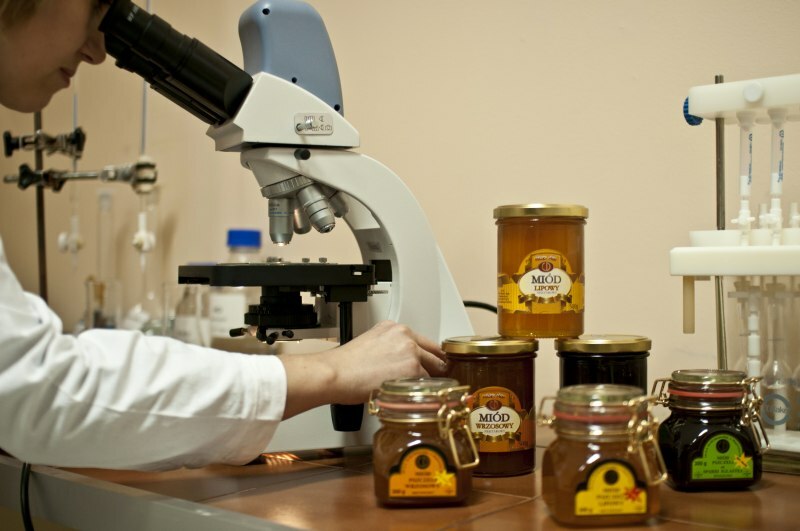 know we, their customers, want REAL, unadulterated honey. Lack of noise implies consent to the crap that’s going on in this industry. Let’s make some noise! OK, the rant is over. Now, in appreciate for you sticking with me here, I’ll close with a favorite recipe found on the site of the National Honey Board (www.honey.com). 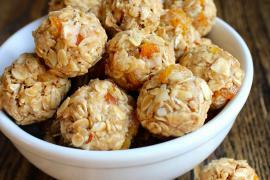 This is a no-bake energy snack that serves up all the nutritional goodness of pure, unadulterated honey. In a medium bowl add the oats, coconut, almonds, hemp seeds and protein powder. Stir until well distributed. Add honey, apricots and nut butter; stir well. Refrigerate mixture for about 20 to 30 minutes. Next, roll into balls. When chilled, they last about 5 days.